Fancy Silver/Gold/Light Blue Wool Tallit Size 20 X 72″. 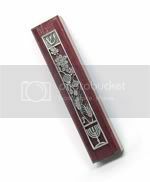 Embroidered Neckband with Full Blessing. 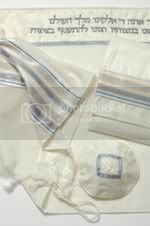 Premium Tallit Prayer Shawl. 3 Piece Set includes Bag and Kippah.